Released in March of 2005 after three years of development, God of War became a critical success. The story follows Kratos on his quest for revenge against the God who tricked him into committing a terrible deed. After 10 years of suffering and endless nightmares, he gets his chance to murder the God of War. Timing note: Runs must end at the final save point to see the game's timer, there's not much to the game after it. Best time, God difficulty: 2:16:23 by Philip 'ballofsnow' Cornell on 2006-04-04, done in 20 segments. First, let me say thanks to Prism for creating the first speedrun of this game. Without his run I wouldn't have started mine. Thanks to Radix for creating and maintaining this website. When watching this run, I think you will be surprised that there is a relatively low amount of combat. Poseidon's Rage is a devastating spell and you will often see me use it. Another thing to note is that you can start playing a few seconds before the graphics load up. That's why the save points are usually out of sight when I begin a segment. 4:35: This Hydra is the most random of the bunch. Improvement can be made here if you get really lucky and it grabs you 5 times in a row. 8:15: Ahh, Poseidon's Rage. This is the number one tool for a speedrun of this game, get ready to see a lot of it. 1:20: Instead of battling the two little Hydras with the Blades of Chaos, you can save time by relying on the magic orbs they give you. Of course, luck was involved to accomplish this. 2:30: The big Hydra fight! The reason I don't get hurt when he chomps down on the mast the first time is because I rolled. When you roll, there is a moment of invincibility; I use this trick later in the game. The Poseidon->combo->repeat is achieved by not completing the combo where Kratos slams his blades into the ground. 2:00: It's hard to see, but the exits get blocked off so you do have to kill the three minotaurs. 4:06: I lost a couple seconds trying to get magic from the chest because of that damn popup message. Luckily the Cyclops backed away. 6:55: This is the first sign of the devastating power of Poseidon's rage. Medusa is no match. 9:55: This trick I learned from Prism's run; I use this later in the game. 11:30: The trick to not getting hit from behind on the rope is to not screw up on the enemies in front of you, perfection is a must here. 2:06: This is the only attempt I had where the gorgon gave me trouble at the roadblock. I almost restarted but she ended up breaking the barrier for me. 2:33: As long as you don't waste any magic at all, stoning all three Cyclops is possible. 4:28-4:40: Woohoo, perfect rolling. To roll fast you just hold the right analog stick and keep tapping the jump button. Usually what I do is I start with my right hand doing the roll, then immediately switch to using it with my left, and then I tap the jump button with my right hand. 2:55: I had a bit of trouble with the two wraiths but I managed to stone both at the same time, so I just went with it. 4:57: I stun the closest two soldiers to keep any others from getting close to me. 7:55: I set a goal in this run to get level 3 Poseidon's Rage before the desert. Starting from here you'll see me do a lot of orb farming. Stoning the harpies gives a huge bonus because they crash into the ground. 1:10: I use one of the more advanced fighting techniques here against some of the harpies. Instead of just grabbing a harpy and smashing it down, I use the left analog stick to direct the harpy smash on top of other harpies. This kills them instantly. The three sirens always spawn in the same place. Once you memorize placements of bushes, chests, etc, it's hard to get lost. 6:55: Remember when Medusa died in 10 seconds? This time it's with level 3 Poseidon's Rage. 4:55: If I had never seen Prism's run I would have spent the time killing those archers. This is because they can pretty much single-handedly ruin segment 10. You'll see why in that segment. 0:40: It may seem like the archers have horrible aim, while it's true to a certain extent, it did take many restarts to get past untouched. 1:10: This is one of the most annoying parts in the game. I go back and forth to avoid getting overwhelmed by the soldiers. 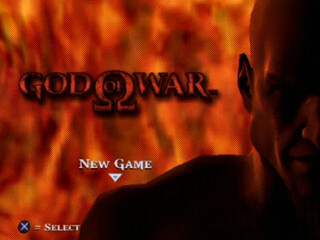 Deciding when exactly to go back and forth, I just looked at where Kratos's hands were in relation to the background. 2:40: This battle went well. I used Poseidon's Rage when I couldn't find a legionnaire (no armour) to grab right away, or when there were too many strays behind me. 0:54: I used that grab-smash technique again here to kill three harpies at the same time. 2:00: Dropping down like that wasn't intentional, though it seems to be faster anyways. 2:15: This battle went perfectly. I didn't actually try to stun the second set of sirens, I was focusing on the shielded legionnaires. 8:40: I was a split-second away from a ruined segment. If I had not gotten that door up right away, I would have restarted. Because I got hit, notice how the camera stays on Kratos instead of panning out to get a view of the room. 1:05: This battle was actually quite hard to complete with four uses of Poseidon's Rage instead of five. 1:22: I saved a trip to the next magic orb chest by summoning Poseidon's Rage before receiving all magic orbs. 6:00: Pushing the cage a little higher draws out that second legionnaire captain. After killing them, I start pushing the cage from behind to avoid getting hit by the third captain. 11:00: I wait for the chest to turn green before doing the third Poseidon's Rage. This leads to the chest being blue when I'm done, so I don't have to wait around and possibly get hit. As you can see I barely dodged that harpy smash. 13:37: I just love doing that to minotaurs. Actually there was purpose behind the attack. If you do not stun the minotaur, he will smash his hammer into the ground knocking you off the switch. 1:45: One of the main reasons to grab all phoenix feathers up to this point is so that this one is your sixth, meaning a magic bar upgrade and refill, speeding up the centaur battle. 3:48: I don't know who discovered this glitch. It sure is useful! I think it saves around 6-7 minutes. 2:34: I practiced with three straight Poseidons but one of the centaur's death animations is very slow and you end up dealing no damage to the second. It's too bad, because you can rack up a nice combo here. 5:00: I don't know what happened to the sound for the rest of the segment. First time that's happened. 2:15: Using Rage of the Gods here was probably a mistake. I had to spend some time in Hades trying to fill the meter back to full. 3:06: I don't know who discovered this trick. I wonder if the game developers made this possible on purpose. 0:30: Knocking the satyr down keeps him from moving away while I use Poseidon's Rage. This leads to killing off two satyrs instead of just one had I not used this trick. 2:40: Luck favored me in the next 10 seconds. Usually when grabbing the chest to get magic, you'll get interrupted by one of the satyrs, forcing me to stop the segment. I was lucky to grab onto the ledge after one of the satyrs hit me while I was in mid-air. I was lucky that none of the archers stuck an exploding arrow on the rotating lever. Crossing the blades and platform area for the first time is easy since it's always the same when you load the game. I learned the shoulder attack -> stab -> scissor swipe combo from watching Prism's run. It is an excellent combo in this battle because it lets you close distance between harpies and at the same time damaging them with the shoulder attack. The swipe kills the harpies in one hit. Many people have trouble in this area. With enough practice it becomes extremely easy. I ran into a little trouble with the Rage of the Gods meter. In my practice runs I got it full by segment 17 in the conveyer battle, so I don't know what happened there. I had to pull off extra combos to refill the meter, costing me some time. It may be better not to use Rage of the Gods against the minotaur boss. 5:55: When refilling your magic bar, you should roll back once you've opened it and set off a Poseidon's Rage before your magic bar gets completely refilled. The satyr battle was my last chance to get my RotG meter full so I didn't use this trick. 8:45: There's a bug with Army of Hades where it'll stop damaging an enemy when they're just spawning. That third Cyclops should have died right away. 9:20: Those archers sure pack some punch. Clones: Easy, but the timing is tricky. I take advantage of refilling the RotG meter by healing my family twice. Letting the clones do enough damage to them while not killing them was the tricky part. Ares 2: This went extremely well. I can only see maybe 5 seconds of improvement here. Well, I hope you enjoyed my run. I think I set the bar fairly high, or should I say low, for future runs. Good luck to anyone attempting to beat my time!